Level-5 (Professor Layton, Dragon Quest) has revealed that their drop dead gorgeous PS3 role playing game Ni no Kuni, designed in cooperation with anime powerhouse Studio Ghibli (Princess Mononoke, Spirited Away) will be arriving in the United States in early 2012. This trailer from IGN’s visit to the Tokyo Game Show clearly shows both studios at the top of their game for what promises to be a spellbinding adventure. 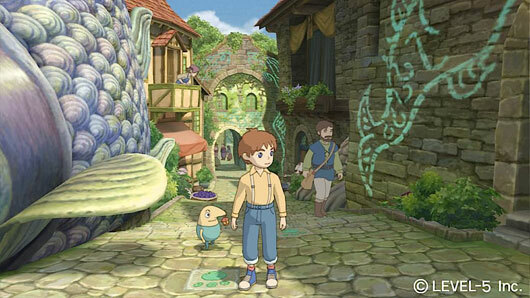 This PS3 version of Ni no Kuni is scheduled for release in Japan November 17, 2011. A version of the game had been previously released for the Nintendo DS in Japan. There has been no news of the DS version being released in other regions.